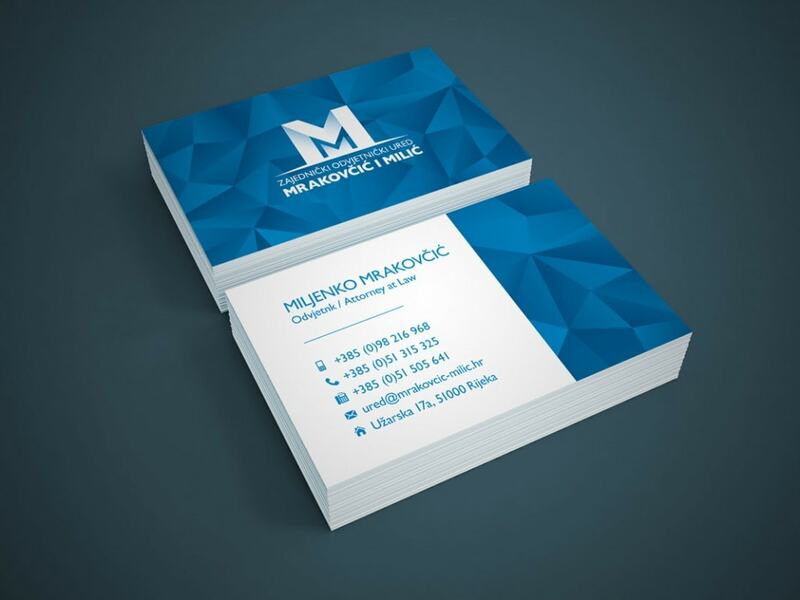 For our client, joint attorney’s office Mrakovčić and Milić, we have created a new design of visual identity. 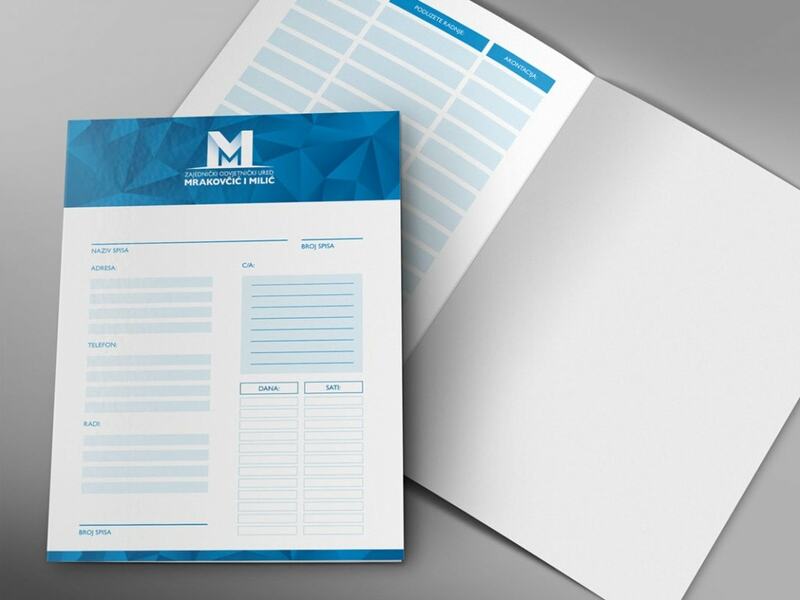 The redesign included a new design of business cards, envelopes, folders and letterheads. 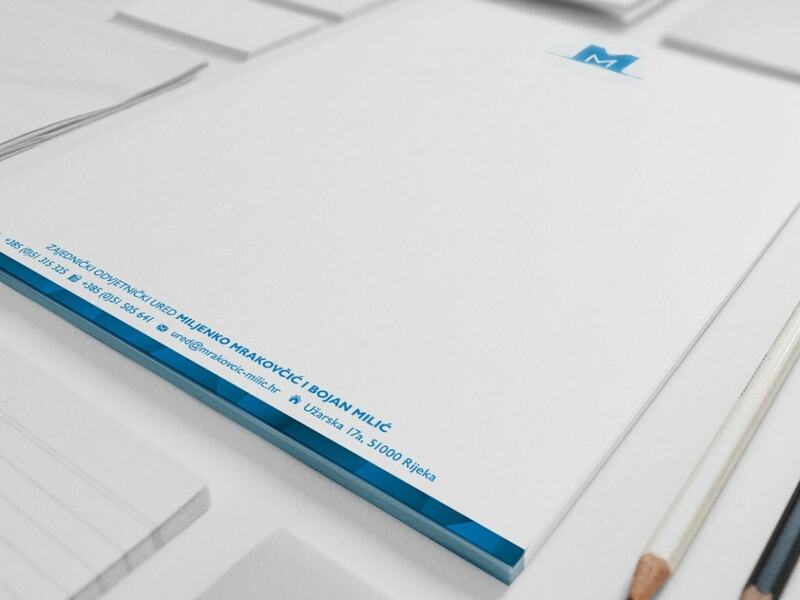 When creating visual identity, we decided to use a combination of large and small letter M which represent dual symbolism. On one side there are letters of the last names of both partners. 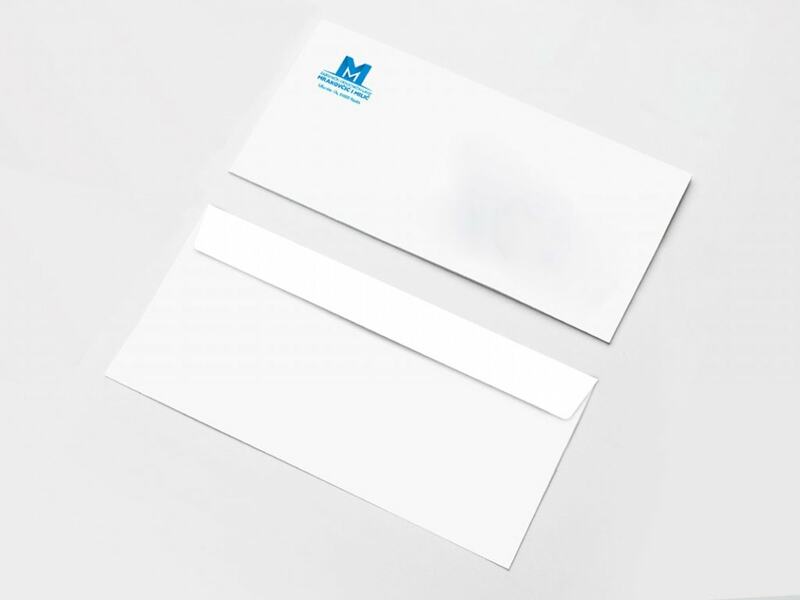 On the other hand, a large letter M with its massiveness and monumentality represents strength and stability, which is a reflection of their years of work and experience. Small letter M represents close cooperation and synergie as a source of success and progress. Selected blue color symbolizes security and reliability, which is reflected in their work. For further distinction, we designed a special pattern that we have used in all printed materials. The sample represents a unique crystal structure, on which are used transitions from dark to light blue, symbolizing the wide range of services and provided opportunities.